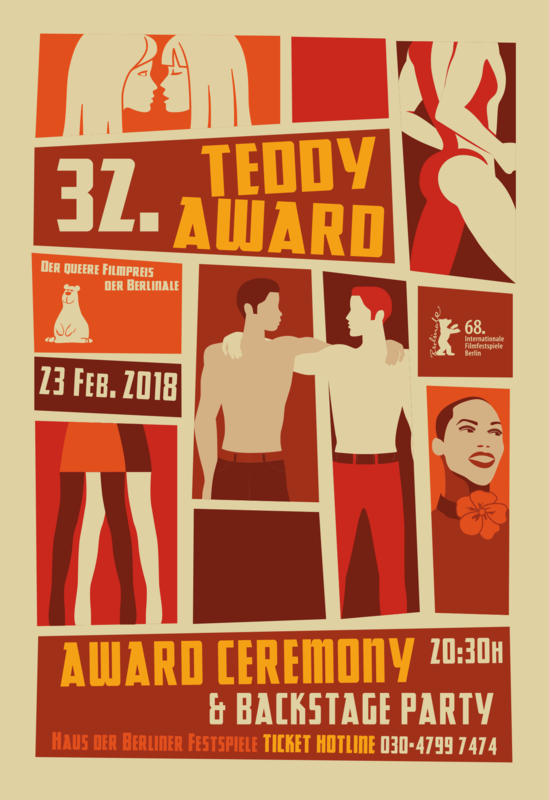 The 32nd TEDDY AWARD takes place within the scope of the 68th Berlin International Film Festival, Feb.15 – Feb.23, 2018 and is awarded in the categories Best Feature Film, Best Documentary / Essay Film, Best Short Film, TEDDY Jury Award and as Special TEDDY AWARD. 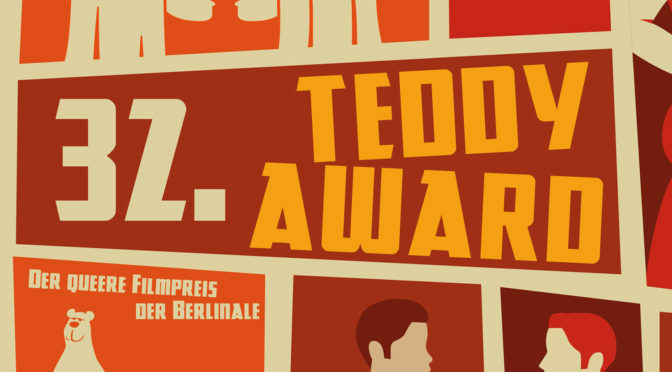 The festive TEDDY AWARD Ceremony will take place Feb.23, 2018, at 20:30pm at Haus der Berliner Festspiele. As soon as the selection of films is finished you will find here all information about the films in the race for the TEDDY AWARDS. The film programme will be published on this page on the afternoon of February 6, 2018. This years TEDDY AWARD artwork was created by the designers collective cabine.